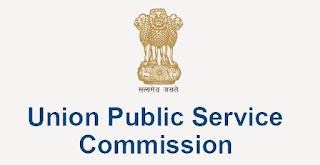 Union Public Service Commission (UPSC) has released the list of applicants regarding non payment of fee for Civil Services (Preliminary) exam 2017. The notification released by the Commission says, "Confirmation has NOT been received from the Bank Authorities regarding receipt of Fees of Rs.100/- in respect of following candidates for Civil Services (Preliminary) Examination, 2017." However appeal against rejection can be made within 10 days. Candidates, opting for so, should send documentary evidence (hard copy) as well by speed post or by hand to the Under Secretary CS(P) , Union Public Service Commission, Examination Hall No.2, Dholpur House, Shahjahan Road, New Delhi-110069. The last date for which is 3 April 2017. Applications of 150 applicants have been rejected due to non payment of fees. Candidates must submit the bank-pay-in-slip (in original) if in case the fee has been deposited through cash mode. In case of internet banking, candidates must submit a copy of the debit/credit card statement or Bank Account Statement. Online registration for UPSC Civil Services Exam 2017 is over. This yearUPSC will conduct the exam a bit earlier than previous years, on 18 June 2017 in accordance with the Rules published by the Department of Personnel & Training in the Gazette of India Extraordinary dated 22 February 2017.